How to Redo Estate Plans, Save on Taxes Under New Tax Reforms – Gawthrop Greenwood, PC. The following article first appeared in the Legal Intelligencer‘s Wealth Management Supplement, featuring insight from the region’s top attorneys on trusts and estate issues. By P. Kristen Bennett — Recent changes to the federal estate tax system have turned traditional estate planning on its head. Now under the new Tax Cuts and Jobs Act, most traditional estate plans for a married couple are likely to increase taxes at death, instead of saving taxes. This means attorneys who want to keep their clients happy had better redo existing estate plans and shift the focus of estate planning services moving forward. Here’s the reason for such dramatic change: For years, the traditional estate plan has directed that two trusts be established at the death of the first spouse: a marital trust and a credit shelter or residuary trust, also called A/B trusts. These trusts are designed to reduce estate tax, but there are additional income tax costs associated with them. Now with the new $11,200,000 federal estate tax exemption, and the ability of a married couple to use both spouses’ exemptions at the death of the surviving spouse, most married couples do not have taxable estates and will not owe federal estate tax at death. As a result, the major benefits of a traditional estate plan are now non-existent, and the following major drawbacks remain. Under the new tax reforms, married couples who do not have taxable estates need to replace their traditional estate plan with an estate plan that minimizes capital gains exposure. In the traditional estate plan that many people currently have, a credit shelter trust is funded up to the decedent’s estate tax exemption, and any remaining assets are distributed to the marital trust. The credit shelter trust is taxed in the decedent’s estate, but since it uses the decedent’s estate tax exemption, no estate tax is due. When the surviving spouse dies, the credit shelter trust is not included in the surviving spouse’s estate. This type of planning is intended to avoid estate tax at the first spouse’s death and minimize estate tax exposure at the death of the surviving spouse. However, one of the downsides to a credit shelter trust has always been that the appreciation of the assets between the first spouse’s death and the surviving spouse’s death is subject to capital gains tax when those assets are sold. There are alternatives that minimize capital gains exposure, while allowing married couples to tailor their estate plan to their specific family situation and create a tax efficient plan. A “Sweetheart Will,” where both spouses leave all their assets to their surviving spouse, outright and free of trust, is the simplest way to minimize capital gains. Outright distribution to the surviving spouse is a tax effective strategy for married couples with a combined estate of $22,000,000 or less. There is a catch: The increased estate tax exemption is in place until 2026, when the estate tax exemption will return to 2017 requirements unless Congress steps in. A good estate plan must take into consideration the possibility of this sunset and provide flexibility to do post-mortem tax planning. One option is to give the surviving spouse the ability to disclaim assets to fund a trust for the benefit of the surviving spouse. Sometimes a “Sweetheart Will” and its outright distribution to the surviving spouse is not appropriate. For instance, some couples (especially those in second marriages) may not want to give the surviving spouse complete control over the couple’s assets and control over who will inherit at the surviving spouse’s death. In these situations, a QTIP Trust (qualified terminable interest in property trust) for the surviving spouse is ideal. A QTIP Trust is a special type of trust authorized by the Internal Revenue Code. It is held for the benefit of the surviving spouse during the spouse’s lifetime, but the deceased spouse has already selected the beneficiaries who inherit upon the surviving spouse’s death. Such trusts should be drafted so that the decedent spouse’s assets are included in the surviving spouse’s estate and therefore qualify to be “stepped-up” to the value of the property on the date of death, and then “stepped-up” again when the surviving spouse dies. These provisions eliminate capital gains tax. Another option to consider is asset ownership. 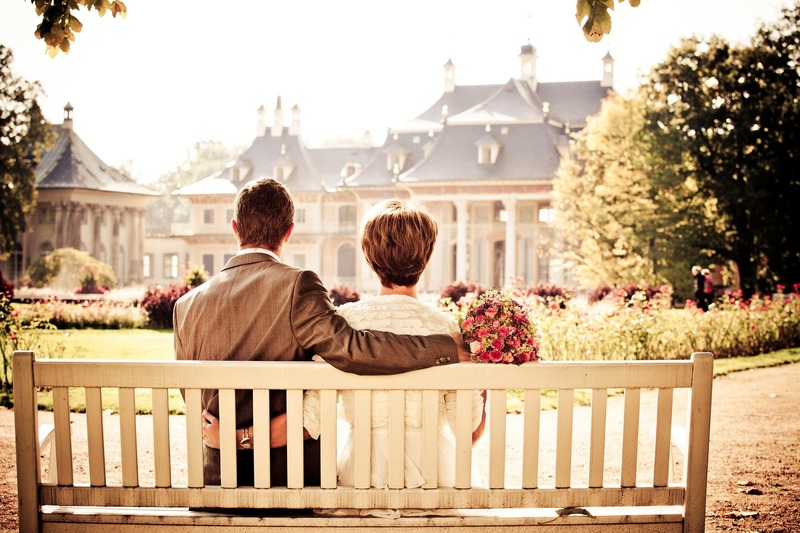 With a traditional estate plan, married couples often had to divide marital assets between them, so that each spouse owned approximately one-half of the combined assets. This was necessary to ensure that the credit shelter trust would be funded at the first spouse’s death. By retitling assets in joint names, you ensure that the assets automatically pass to the surviving spouse, outright and free of trust, upon the first spouse’s death. Another major drawback of the traditional estate plan is that it can increase the overall income tax burden. At the same time, because the income tax rate brackets for trusts are compressed, a trust will pay significantly more in income tax than an individual with the same amount of income. For instance, a trust reaches the highest marginal income tax rate of 37 percent when it has $12,500 in taxable income. By comparison, a single taxpayer does not reach the 37 percent income tax bracket until he or she has taxable income of $500,000, and a married couple does not reach this bracket until they have $600,000 of taxable income. A trust is also subject to the net investment income tax, a 3.8 percent tax on certain investment income like interest, dividends, rents, royalties and capital gains, when it has $12,500 of income. Single taxpayers are only subject to the net investment income tax on their modified adjusted gross income over $200,000, and married taxpayers are only subject to the tax on their modified adjusted gross income over $250,000. So here are other options to consider: An outright distribution to the surviving spouse (instead of a trust for the benefit of the beneficiary) eliminates the income tax burden. There is no requirement to file a separate income tax return, the beneficiary has the benefit of the individual income tax brackets, and the threshold to pay net investment income tax is much higher. Jointly owning assets also eliminates the income tax burdens associated with trusts. A QTIP Trust provides some income tax relief. A QTIP trust is a separate entity and is required to file its own income tax return, the trust’s income is distributed to the surviving spouse and the surviving spouse pays the income tax at his or her marginal rate using the individual income tax rate brackets. To the extent that the QTIP trust retains capital gains as part of the principal of the trust, it will be subject to the net investment income tax on its income in excess of $12,500. I mentioned that unless Congress steps in, by 2026, the base estate tax exemption will revert to $5,000,000 per person with an index for inflation that brings it to an estimated $6,000,000 to $6,500,000 per person. That’s far less than the 2018 estate tax exemption of $11,200,000 per person, which will only increase with inflation over the next seven years. Whatever the future brings, one thing is certain: This is a time of profound change for tax and estate attorneys, and the ability to educate clients on the need to update their estate planning documents, as well as advise effectively, will ensure the financial well-being of their clients. Kristen Bennett is a partner at Gawthrop Greenwood, PC, specializing in estate planning and trust administration in Pennsylvania and Delaware. 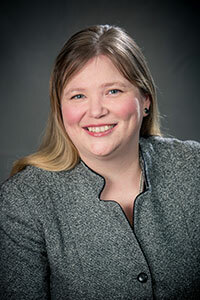 She also provides counsel on taxation and tax planning for businesses. She can be reached at kbennett@gawthrop.com or 610-696-8225.